At the point where the sacred river Ganga reaches the plains, lies Haridwar, at the foothills of the Himalayas. It is one of the most ancient pilgrimage centres in India that has been held in reverence from times immemorial. Haridwar was once known as Gangadhwar. The Chinese pilgrim Hyuen Tsang, who visited India in the first millennium, describes Haridwar in his travelogue, as a pilgrimage site on the eastern bank of the river Ganges. In the ancient scriptures of India, this place is also known by the name of Mayapur. Countless temples and hermitages (Ashrams) dot this holy town and a visit to Haridwar is like a stepping into a celestial world. Haridwar is literally the Gateway to the lord (Hari-Dwar), as the point of Dev Bhoomi and Char Dham (the four main shrines situated in the upper reach of Himalaya, Badrinath, Kedarnath, Gangotri and Yamunotri in Uttarakhand) it acquires its name Haridwar. According to Indian mythology, it is one of the four places where droops of elixir,’Amrita’ accidentlly spilled over from the pitcher or ‘Kumbh’, in which it was being carried away by the celestial bird Garuda, the vehicle of Vishnu. These four spots have today become places where the Kumbha Mela is celebrated every 12 years in succession-Ujjain, Haridwar, Nasik and Allahabad. Millions of devotees and tourists congregate from all over the world to celebrate the celestial event and perform ritualistic bathing on the banks of the river Ganga. The spot where the nectar (Amrita) fell is today considered to be the Brahma Kund at Har-ki-Pauri, (literally “footsteps of the Lord” and the spot where the drops of Amrit fell into the water) which is the most sacred ghat of Haridwar, and thousands of devotees and pilgrims flock here from all over the world to take a holy dip; it is believed that a dip here will wash away their sins or Karma and provide Moksha. Haridwar is the ultimate heaven for spiritual solace and peace of the believed in Hinduism. It represents the gateway to the Himalayan pilgrimage shrines of Badriath and Kedarnath, Yamunotri and Gangotri. The pilgrimage to the Himalayan shrines begins only when the sun reaches the zodiac sign sign of Aries. Haridwar is the celebrated site of the Kumbha Mela, held once in every twelve years, when the Jupiter transits to the zpdiac sign of Aquarius. The five sacred bathing spots in Haridwar are Gangadwar, Kankhal, Neel Parvat, Bi lwa Theertha and Kusavarta. The main ghat at Haridwar is known as Har-ki-Pauri (venetated for a footprint of Lord Vishnu on a stone in a wall).Nearby is the Gangadwar temple, the most important of the several temples in the town. The Ganga Aarti which is performed in the evening is a spectacular sight to witness. 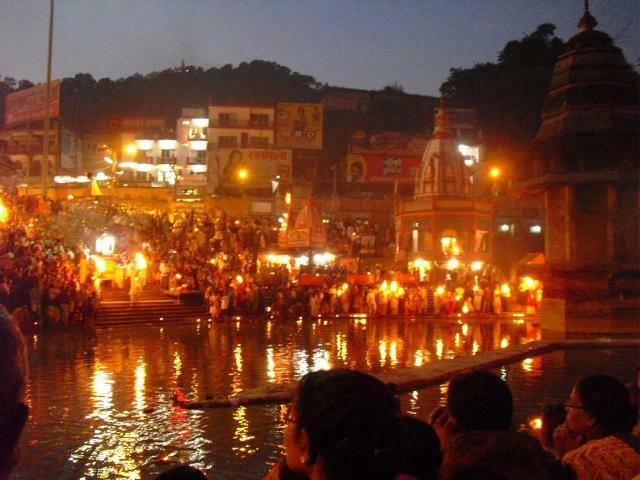 The dusk Aarti of the Goddess Ganga, at Har-ki-Pauri is an enchanting experience for any visitor. A spectacle of sound and colour, after the ceremony, pilgrims float diyas, flowers and incense in the river commemorating their deceased ancestors. When the Aarti ceremony (the fire ritual) is performed hundreds of people throng the ghats at Har-ki-Pauri to participate in the solemn ritual. It is a highly moving sight to watch hundreds of miniature lamps floated on the river! For those who are less inclined towards religious faith and more towards thrill and adventure, Haridwar is a paradise for such nature lovers. A part of the Rajaji national park lies within the bounties of the district. It is an ideal destination for wild life and adventure sports. An entry point to the white water rafting at Shivpuri, it also offers incredible trekking experience in the Himalayas. This legend is associated with the end of Daksha and the origin of the Shakti Peeths in India. It portrays Lord Shiva as the divine destroyer. Sati and consort of Lord Shiva was the daughter of Daksha prajapati, a descendant of Lord Bramha…. Sati had married to Lord Shiva agains the wishes of her father. In retaliation, Daksha performed a Maha yagna (with the sole aim of insulting Lord Shiva), to which he invited all of the gods and goddness except Lord Shiva, his son in law. Sati attended this ceremony, against Lord Shiva’s wishes and was ultimately insulted by her father. Unable to bear the insult, Sati immolated herself. Enraged at the insult and immolation of Sati, Lord Shiva through Veerabhadra, destroyed Daksha’s palace, cut off Daksha’s head and replaced it with that of a goat, as he restored him to life. Baffled with grief, he picked up the remains of Sati’s dead body, and performed the celestial dance of destruction criss-crossing the Universe. The other gods intervened to stop this dance and the disk of Vishnu cut through the corpse of Sati whose various parts of the body fell at several spots all through the Indian subcontinent. These spots formed the sites of what are known as Shakti Peeths today. 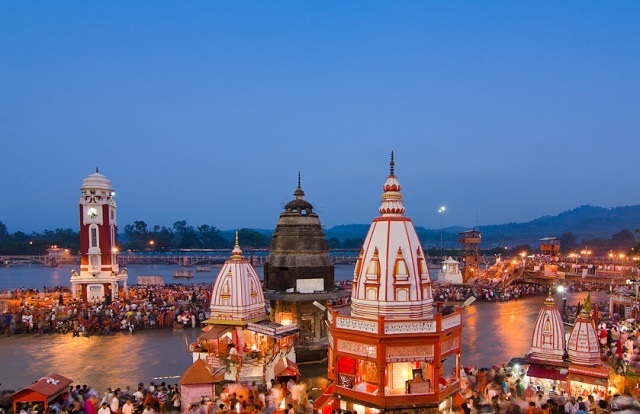 Haridwar is deeply encapsulated into the threads of Indian culture and civilization. Also known as Mayapuri, Kapila and Gangadwar in different periods of time. The followers of Lord Shiva(Har) and followers of Lord Vishnu (Hari) call this place Hardwar and Haridwar respectively. Archaeological findings have proved that terra cotta culture dating between 1700 BC and 1200 BC exested in this region. Legendary King Bhagirath is said to have brought the river Ganga from heaven to earth in order to provide salvation to his ancestors. It is also said that Haridwar has been sanctified by the presence of three Gods Brahma, Vishnu and Mahesh. Lord Vishnu is said to have his footprint on the stone that is set in the upper wall of Har-Ki-Pauri where the Holy Ganga touches it at all times. Believers feel that they can go to heaven by getting their salvation after a dip in the sacred Ganga at Haridwar. Haridwar has a rich and ancient religious and cultural heritage. Being one of the oldest living cities, it finds its mention in the ancient Hindu scirptures as it waves through the life and time stretching from the period of the Buddha to the more recent British advent. It still has many old havelis and mansions bearing exquisite murals and intricate stonework. Several places of historic and mytological interest are situated within its precincts. The city has a long standing position as a great source for ayurvedic medicines and herbal remedies and is home to the unique Gurukul School of traditional education system. Haridwar as today has not just religious importance but it has the temples of modern civilization, i.e. BHEL, a crowned Indian PSU. 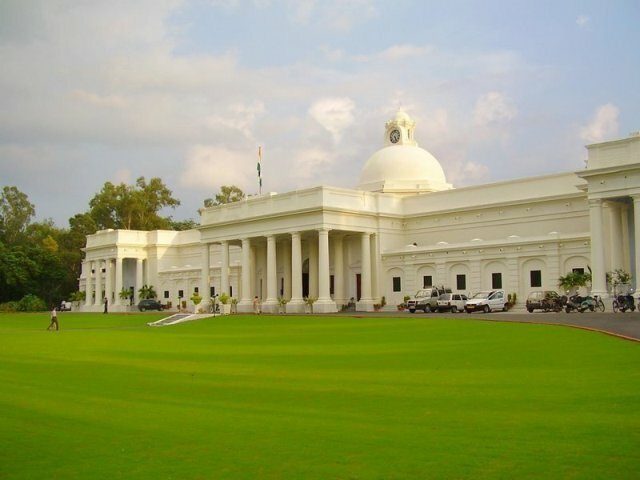 The Roorkee University at Roorkee (Now IIT, Roorkee.) is one of the oldest and prestigious Institutes in the fields of science and engineering. Another university of the district i.e. Gurukul Kangri, which has a vast campus, gives traditional education of its own kind. Recently established Sanskrit University, Dev Sanskrit University and Patanjali Yoga University are centres of higher studies research in oriental subjects and yoga. 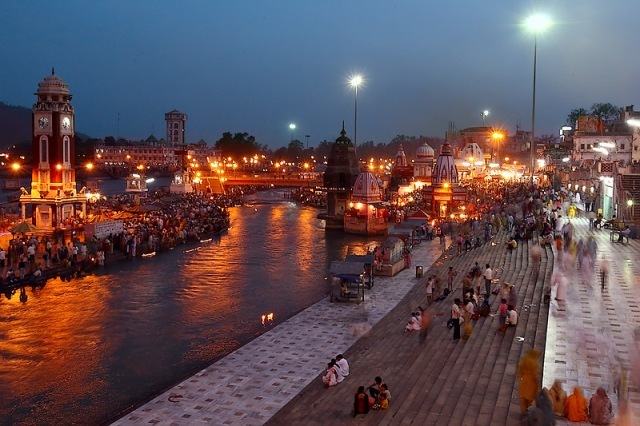 After the creation of new state of Uttarakhand, Haridwar is developing as a major industrial destination of state. Many Government administrative offices like Lok Sewa Ayog and Sanskrit Acadmey have been established here. Due to it’s location on the bank of River Ganga, it has plenty of water resources and almost all kind of food grains are produced here in abundance Location, Demographics & Other Features 214km northeast of Delhi, Hardwar is situated had a population of 175,010. Male constitute 54% of the population and females46%. Hardwar has an average literacy rate of 70%, higher than the national average of 59.5%: male literacy is 75%, and female literacy is 64%. In Haridwar, 12% of the population is under 6 years of age. Har Ki Pauri or Brahm Kund is the main ghat of Haridwar. It represents the point where River Ganga descends from the mountains to the plains. It is so named, as it is believed as it is Lord Vishnu’s footprint that is imprinted on one of the stones here to pay their homage to this footprint of God and take a dip in the sacred waters of Ganga. Ganga aarti held here every evening is famous because it is quite a spectacle to see hundreds of tiny diyas and marigolds floating down the river as priests recite ‘Om’ on the Ghat steps. The British enlarged the bathing ghat in the 1820s and the temples date from that time and later times. The upper left temple has a dome rather than a spire, which is unusual for contemporary Hindu temple architecture. Since the 1820 the Ghat has been enlarged several times, most recently in 2004. 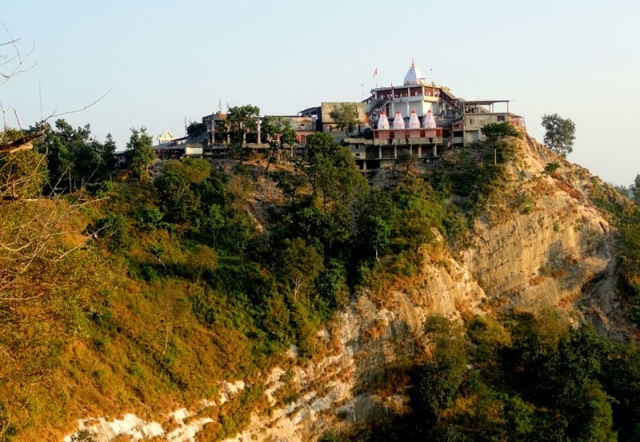 A cable-car (Udan Khatola) ride to the Mansa Devi Temple, is very thrilling, especially, when you look down from above. Another option is to climb up the 105km stretch to the temple. Goddess Mansa one of the incarnated forms of Goddess Durga said to have power to grant your wishes. This is an ancient temple of Mansa Devi, the reigning deity of Haridwar, regarded as one of the Siddhpeethas. Said to be the place where the heart and navel of goddess Sati and fallen. Situated at the top of Bilwa Parwat, here one statue of the goddess has three mouths and five arms while the other statue has eight arms. The beautiful view of the city can be seen from this place. The temple of Chandi Devi atop the Neel Parvat on the other bank o river Ganga was constructed in 1929 A.D by the king of Kashmir-Suchat Singh. It is a 3km trek from Chandighat. 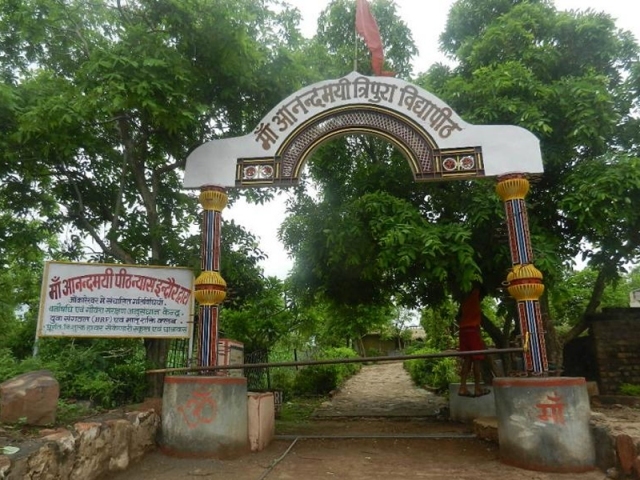 Legend has it that the army chief Chanda-Munda of the demon King Shumbh-Nishumbha was killed by goddess Chandi here after which the place got the named Chandi Devi. It is believed that the main statue was established by the Adi Shankracharya in 8th century A.D. Chandi Devi is a diety who is fierce to the sinners and kind to those who are devoted to her. She is also one of the varied forms of Goddess Druga. 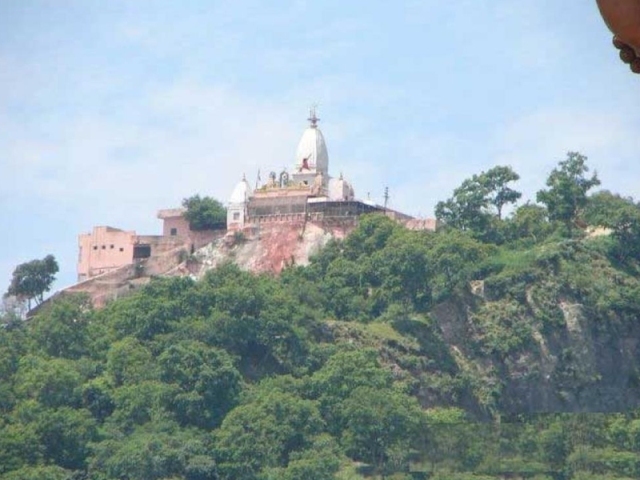 The temple is situated on a hilltop just like that of Mansa Devi. However, the climb here is much more steep than that of the Mansa Devi Temple and only meant for those who love outdoor exercises. For those who would like to visit the temple and yet save themselves from such a tiring journey, cable cars may prove to be a better option. One can reach here by Trolley through ropeway or on foot. Ph.no. of ‘Udan Khatola’ (Ropeway) is 01334-220324, Time-8.30AM to 6PM. 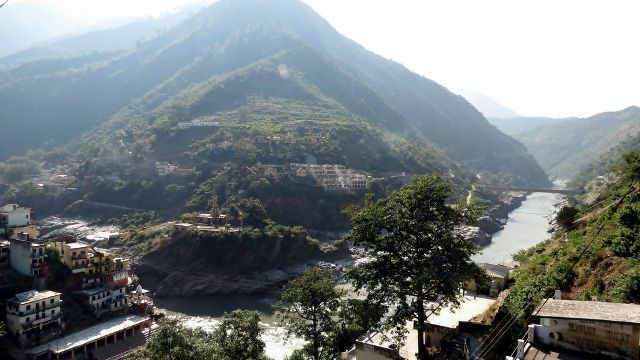 5km from Haridwar, Sapt Rishi Ashram is the point where River Ganges flows in seven little streams. It is believed that seven great saints prayed here for the wellness of humanity. It is believed that a constellation of seven stars is actually the saints who took this form after leaving their mortal bodies for the heavenly abode. 3km from the most famous ghat of Haridwar, Har ki Pauri, Pavan Dham has become a mojor tourist attaraction. The temple has most beautiful glass interiors. From this place, one can also go to the nearby Vaishno Devi Temple, which is a lesser version of the renowned temple of Vaishno Devi of J&K. Bharat Mata temple is one of its own kind. It is an impressive multistoreyed building and each of the floors has been dedicated to different gods. Here the mother India the prime deity id depicted with Indian national flag in her hand a tri-colored sari adorning the idol. It represents the ‘Unity in Diversity’ in India and the oneness of India. The temple bears a sign indicating to have been built in 1867. The smaller of the two spires lies over the footprints of Vishnu from which Har-Ki Pauri gets its name Local traditions recounts that it was built by Raja Man Singh who was a vassal of the Mughal Emperor Akbar. Although this claim cannot be historically verified, archaeologists believe that is one of the oldest temples in Haridwar and the bathing pool to the most important bathing place. This ancient Shiva (Mahadev) temple is located in the south Kankhal town. The mythological legends state that King Daksha Prajapati, the father of Sati (Lord Shiva’s consort) performed a Yagya here but didn’t invite Lord Shiva. Sati was offended by her father’s behavior and sacrificed her life by jumping into the fire of yagya. Infuriated Lord Shiva killed King Daksha but later brought him back to life. 4kms. from Haridwar, Sati Kund is another major mythological heritage worth a visit. It is situated in Kankhal. Legend has it that Sati self-immolated herself in this Kund. This tank is situated at a distance of about 1km from Har-Ki-Pauri. It is said that while Pandavas were going to the Himalayas through Haridwar, Bhima created this tank by pounding his knee or goda to the very ground. Situated in Haridwar Ashram, Kankhal. Shivling weighing about 150kg and Rudraksha tree are the main attractions here. This venerated institution was founded in 1902 by Swami Shraddhananda (1856-1926), a follower of Swami Dayananda Saraswati, the founder of Arya Samaj. It was one of pioneering institution to revive the ancient Indian education system in modern India. Here Ancient Vedic and Sanskrit literature, Ayurvedic Medicine, Indian Philosophy were made part of the curriculum besides modern sciences and Journalism. Its sprawling and serene campus is situated on the banks of river Ganga, on Haridwar-Jwalapur bypass road. Mahatma Gandhi visited this institution, and stayed here for and extended periods of time. Its Archaeological museum, house some rare statues, coins, paintings, manuscripts and artefacts, starting from Harappan culture (c.2500-1500BC) onwards. Situated in Kankhal, one of five sub-cities of Haridwar, the ashram is the Samadhi Shrine of the noted female saint of india, Maa Anand Mai. Offers a panoramic view of the Ghats and the Ganga canal. 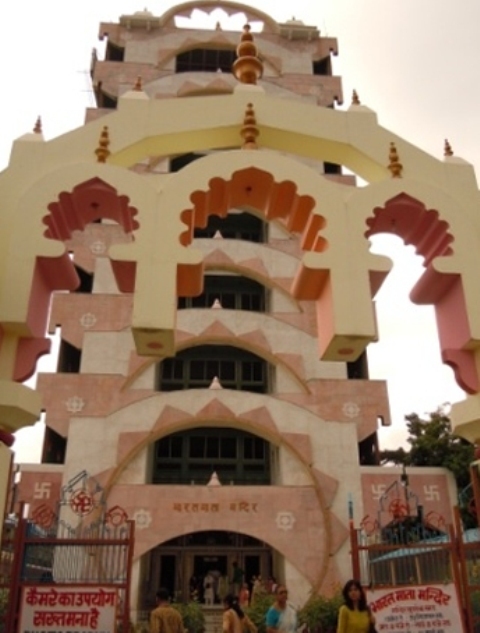 Other places of religious interest- Kanva Rishi Ashram, Bilkeshwar Mahadev, Bhooma Niketan, Doodhadhari Temple, Shahi Gurudwara and Jairam Ashram, Shanti Kunj and avdhoot Mandal. Road: Haridwar on National Highway no. 58 is well connected to all major cities and other parts of the state viz. Delhi(214km), Agra(386km), Ambala)(168km), Badrinath(325km), Dehradun(52km), Kedarnath(250km), Saharanpur(81km), Nainital(286km). Private bus services, tempos (vikrams), auto rickshaws, tongas, cycle-rickshaws and taxis. Haridwar is the site of many religious festivals and fairs. Most notably, once every twelve years it is the venue for the Kumbh Mela, humanity’s largest festival, which drew a record 70 million in 1998. (The festival rotates between Haridwar and Allahbad, Ujjain and Nashik.) The Ardh Kumbh Mela is held every six years. 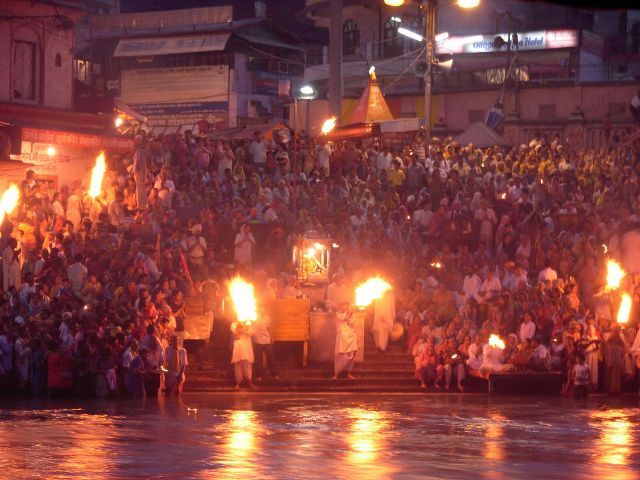 The next Kumbh and Ardh Kumbh will now be held at Haridwar in 2010 and 2016 respectively. Baisakhi, April. Kanwar Mela, July. The largest yearly festival, drawing approx. 300,000 visitors. Somewati Amavasya, July Almost as large as the Kanwar Mela. Kartik Purnima, held 15 days after diwali on the first night of the full moon in November. While the festivals are colourful and fascinating, they also strain the town’s limited infrastructure to the breaking point and sometimes beyond. Book rooms and tickets well in advance, and avoid travel by road as the traffic jams can be horrendous. 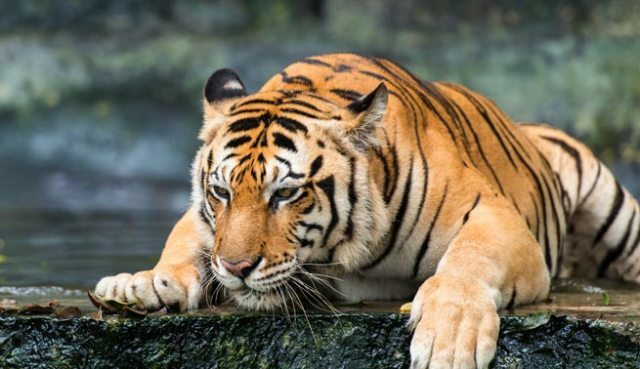 The Rajaji National Park is around 10km from Haridwar. The park endowed with pristine beauty and rich biodiversity covers an area of 820 sq. kms. on the edge of the Doon Valley about 10 km from Haridwar. It was established in 1996 and has over 23 species of mammals and 315 avifauna species. One can watch a herd of elephants roaming majestically in the jungle or may find oneself excited by wildlife of many kinds including tigers, leopard, jungle cat, Himalayan yellow throated marten, samber, cheetal, barking deer, wild boar, languor, ghural, sloth beer, king cobra, woodpecker etc Elephants are available for wildlife viewing at Chilla and Dholkand. Rishikesh is another popular Hindu pilgrimage centre located along the right bank of the River Ganga. A breath-taking experience of natural beauty and undiscovered wildlife waits at Rishikesh. 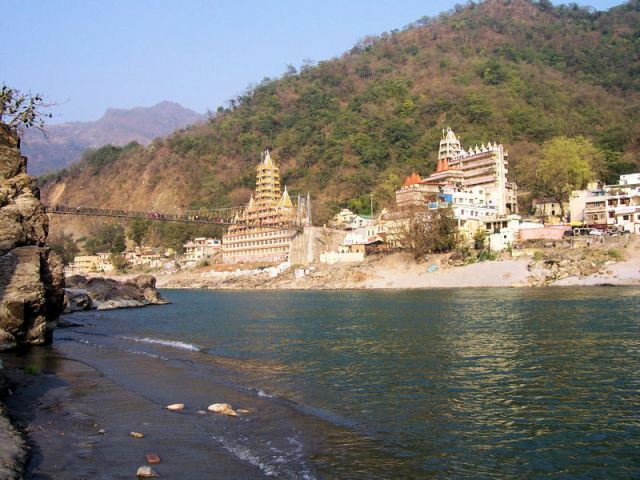 Main attractionat Rishikesh are the Ghats, temples, Ashrams and Lakshman Jhoola. Rishikesh is also a centre for learning and research in yoga and meditation, the renowned Indian methods for mental and physical health. The week long International Yoga festival, that attracts Participation from all across the world, is held here. Dehradun is the capital of Uttarakhand State. It is an important business, educational and cultural destination of north India. The climate and strategic location of Dehradun makes it a popular tourist destination. Mussoorie, the queen of hills and many nearby places attract a large number of tourist from different parts of India and the world. It is 23km south of Haridwar on the outskirts of Roorkee. 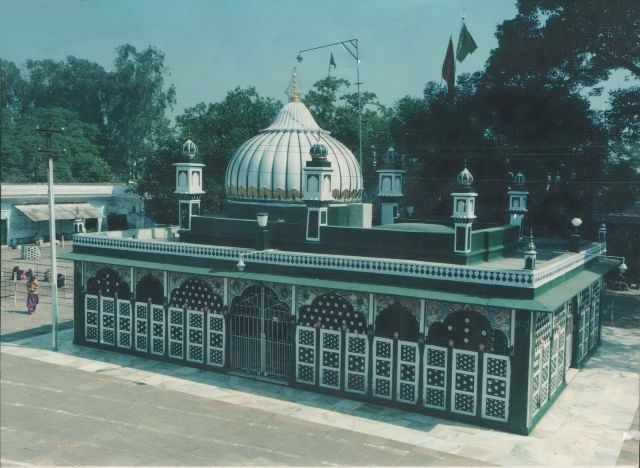 The ‘Dargah’ of Hazrat Makhdum Allauddin Ali Ahmed shah ‘Sabir’ here is a shining example of communal harmony and peace. It is believed that the wishes of the devotees are fulfilled here and large number of devotees from all over the world. The annual ‘Urs’ is celebrating from the 1st day of sighting the moon to 16th day of Rabiul month in Islamic calender. Air: The nearest airport is Jolly Grant, Dehradun, 41km from here which is connected by private airlines services to and from Delhi. Indira Gandhi International Airport at Delhi(220km) is 220km from Haridwar. Rail: Connected with all important cities of India viz., Mumbai, Delhi, Agra, Howrah, Varanasi, Allahbad, Ujjain, Amritsar, Dehradun, Lucknow and Kolkata. Deoprayag is a beautiful showcase of traditions, myths and mysticism. 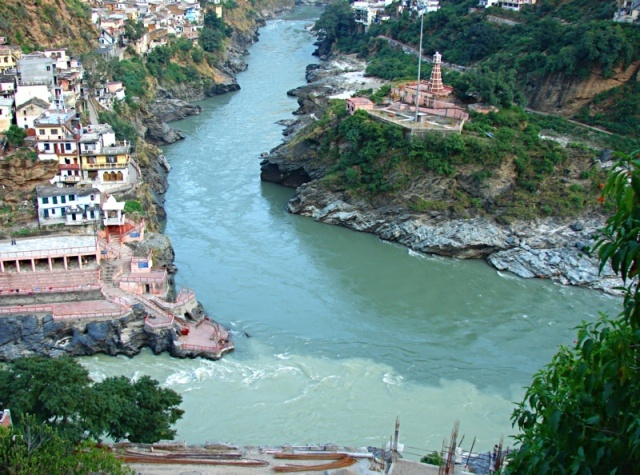 This is the place where the holy rivers Bhagirathi and Alaknanda meet, making it a unique pilgrimage like the prayag of Allahabad. From here onward two rivers merge into take the name of ‘Ganga’. Deoprayag though situated, just at an altitude of 618mt from the sea level, is endowed with abundant natural beauty. According to a belief, Lord Rama and his father King Dasharatha did penance here. The main temple is the ‘Raghunath Temple’, dedicated to Lord Rama. The bathing ghat at Deoprayag is built with multiple levels to accommodate different water levels during the monsoon. It is also the winter home of the Badrinath pandas. Deoprayag is a pilgrimage centre of great significance. In Treta-yuga, Lord Rama and Lakshman performed a yajna here to atone for killing Ravana, who was a Brahmin. The ancient Raghunath temple here with a 15-foot tall deity of Sri Rama (Sri Raghunath) is one of the 108 most important temples in India. In front of the temple is a statue of Garuda. Behind the temple and slightly up a hill is Vamana’s cave and nearby is Lord RAma’s stone throne. Raghunathji Temple: The ancient temple dedicated to Lord Rama, the epic hero of Ramayana. An impressive black granite statue graces the temple. Every day the devotees congregate at the temple to pay obeisance, after taking bath in the holy confluence. The walls of the temple display exquisite sculptures that show Buddhist influence. Bharat Mandir: Relatively unknown, but this small temple is a beautiful example of hill temples. Named after Bharat, Rama’s younger brother. The bigger Bharat Temple is at Rishikesh, but it is also much revered. Historically, after the Muslim invasion in north India, the priests lift the holy city of Rishikesh and the idol was placed here for several centuries. Later it was taken to its original location, Rishikesh. Its worth visiting, to feel the pulse of Hindu mythology and beliefs. Chandrashila: A gigantic boulder in the mid of Bhagirathi river, at a distance of 2km from Deoprayag. According to legend, king Dasaratha, father of Lord Rama meditated here for the salvation of his ancestors. 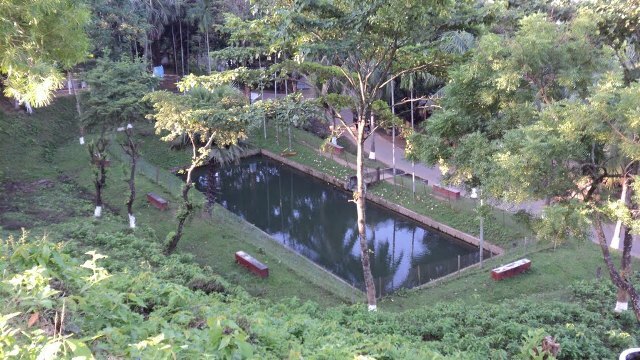 A holy dip at this place, is believed to get one’s wishes fulfilled. Chandrabadni: At an altitude of 2,756mt above sea level at a distance of 30km from Deopra yag to Jamnikhal on the Tehri road. A separate road leads to the temple from Jamnikhal(7km) followed by a trek of 1km. Reaching there you can have a breathtaking view of the Himalayan peaks and the river flowing below .A small temple is situated at the hilltop. An ideal place for total spiritual expedition. In the month of April, this sleepy corner of the hil bubbles with activities. 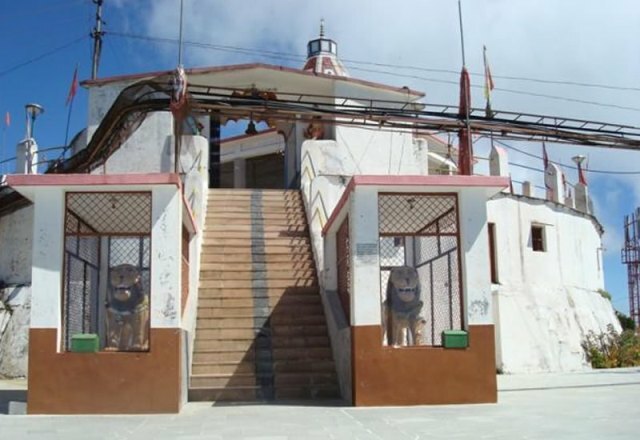 A fair is held here, which sees devotees congregating from different parts of the Himalayan region to witness the spiritualism revered in Chandrabadni temple. Air: The nearest Airport is Jolly Grant at Dehradun, 90km. The nearest railhead is at Rishikesh 70km. Rail: Deoprayag is at a distance of 70km from Rishikesh. Road: Deoprayag is well connected with Rishikesh and Dehradun and other parts of the Garhwali Himalayas.